Formally, NATO was the West’s response to an aggressive Soviet Union, but the notion that the US, or even Western Europe, was threatened by the Soviet Union after World War II is laughable. From Ian Allen at IntelNews comes the report the same senior intelligence advisor to Gaddafi has reportedly told French investigators that the Libyan government gave $8 million to the election campaign of France’s ex-President Nicolas Sarkozy as a bribe to clean up Gadaffi’s international reputation. 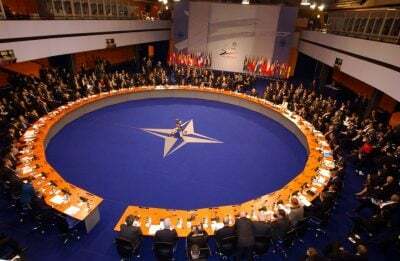 On 24 March 1999, NATO launched a 78-day-long bombing campaign against the then-Republic of Yugoslavia. Still hailed by the Western mainstream as a successful ‘humanitarian intervention’, the true story of the conflict’s roots and legacy is far darker, and points to extensive collaboration between London, Washington and extremist Islamist forces. Pompeo was a Firm Supporter of RussiaGate: Was he Jeopardizing Trump’s Foreign Policy Initiatives?